Ashley had always found the dental profession to be interesting, and began her career as a dental assistant. After several years of assisting, the joy that she felt at taking care of patients led to her furthering her education, and she decided to pursue a degree in Dental Hygiene. 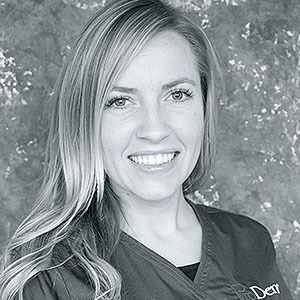 She started working here at ProDental directly out of Hygiene School, and quickly developed a loyal following due to her thorough but gentle cleanings and personable nature. In her spare time, Ashley enjoys hiking and social events.